Comfortable, healthy & worry free. Almada – New Traditions In Cork brings a fresh twist to cork, one of nature’s best building materials. Beveled narrow planks provide the traditional look of hardwood floors, and have all the benefits you can only get from cork. More comfortable and warm underfoot, Almada floors naturally resist mold, mildew and pest. And, with Greenguard Children & Schools certification for indoor air quality, you can breathe easy and rest assured that Almada will not introduce harmful emissions into your home. Easy to install, your Almada floor requires no glue or nails, and Almada mainenance is a breeze. So relax and enjoy a new tradition in your home…Almada. 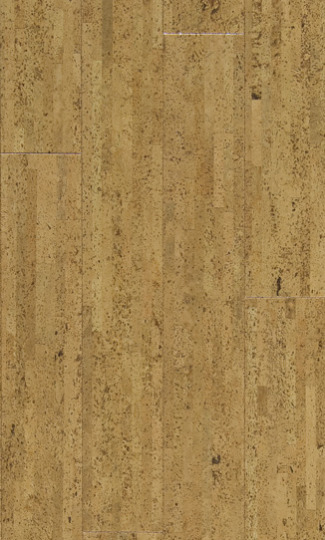 If our standard selection of Almada Natural Cork floors doesn’t fit your particular design needs, that allow you to create your own custom Almada floor. Plank Dimensions: 4 1/8" x 35 5/8" x 13/32"
Installation Method: Drop & Lock Floating Installation - No glue required.